Does exercise keep the brain young? Physical exercise can have modest benefits for the brain, studies suggest. The Claim: Physical exercise benefits the aging brain, slowing the decline in memory and “executive function” that occurs as people get older. The Background: Thisyear brings the 50th anniversary of a study reporting that lab rats remember and learn better after they start using a running wheel. 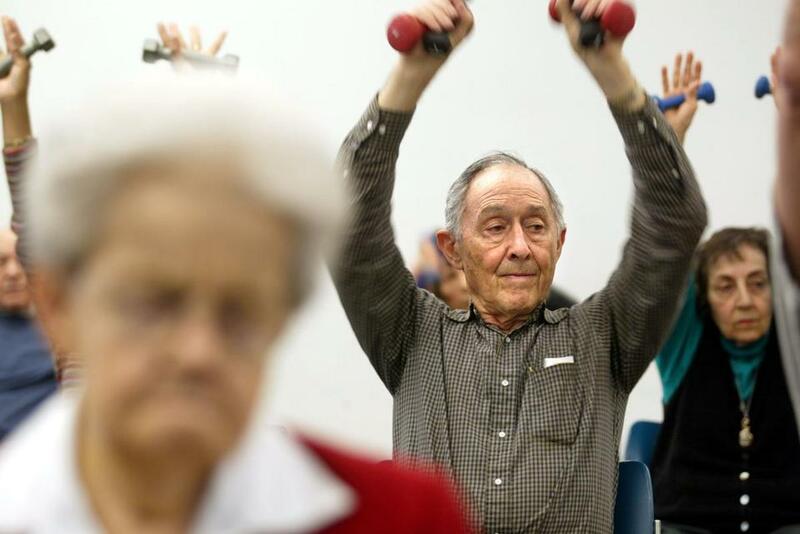 That report unleashed a torrent of research on whether physical activity improves brain function in older adults by countering the harmful effects of aging. It’s easy to get the impression that this science is settled. Hundreds of studies have reported encouraging findings: physically active older adults have a larger hippocampus (the structure that encodes memories) and prefrontal cortex (responsible for executive functions such as task switching, ignoring distractions, and planning). Scientists have also reported that active older people have more and younger-looking white matter (the “wires” that connect neurons), more efficient brain activity, superior executive function, and better memory. First Take: Usually, Gut Check gives more credence to randomized controlled studies than to observational ones. But on this question, the results from randomized controlled trials might be misleading. The observational studies have been huge, commonly including more than 1,000 people. They’ve also consistently found that more physical activity goes along with less cognitive decline in older adults, especially those 65 and older. Randomized controlled trials of physical activity and age-related brain function — assigning some volunteers to exercise and others not to, or to some non-exercise activity — have been more equivocal. Many of those studies have found functional improvements, mostly in executive functions and in memory. Some have found increases in the volume of gray matter. But others have not found previously reported benefits, leaving things unsettled. Second Take: In biomedicine, randomized trials are considered more rigorous and reliable than observational studies and animal research. But on this question, that might not be so. For starters, most randomized controlled studies have few participants, making it harder for them to show an exercise effect. In addition, many include volunteers who are already physically active, so any assigned exercise might not have additional benefits. Also, in many of the randomized studies, only some — even as few as half — of the volunteers assigned to the exercise group actually exercise as requested. Any benefit from exercise in the “exercise group” would, therefore, be diluted by the fact that only some volunteers are actually exercising. That said, exercise is not a cognitive fountain of youth. For one thing, a lot doesn’t seem to be much better than a little. Fifteen observational studies, taken together, found a 38 percent reduction in risk of cognitive decline in healthy participants who were very active, but nearly as great a reduction — 35 percent — in those with low to moderate activity, a 2011 analysis found. Psychologist Arthur Kramer of the University of Illinois at Urbana-Champaign and his long-time collaborator, the University of Pittsburgh’s Kirk Erickson, said there is “modest support” for the claim that moderate to intensive exercise, such as vigorous walking, can “preserve and even enhance cognitive vitality” in older adults, and bring about “a modest reduction” in the risk of cognitive decline as a result of such exercise. The Takeaway: STAT wishes the studies on exercise and the aging brain were cleaner, but the weight of the evidence says there is a modest cognitive benefit from physical exercise. Sharon Begley can be reached at sharon.begley@statnews.com. Follow her on Twitter @sxbegle. Follow Stat on Twitter @statnews.